We found 1564 results matching your criteria. Working Load Limit 12 lbs. Working Load Limit 42 lbs. Weight Per 100 Pieces 1 lb. 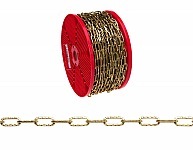 Used on Rope Size 1/16 in. 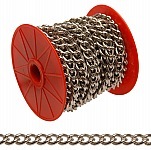 Used on Rope Size 3/32 in. Used on Rope Size 1/8 in. Inside diameter/Length 1 5/8 in. Working Load Limit 120 lbs. Weight Per 100 Pieces 3.87 lbs. 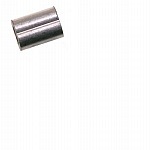 Inside diameter/Length 1 13/16 in. Working Load Limit 35 lbs. Weight Per 100 Pieces 3.5 lbs. Inside diameter/Length 1 3/8 in. Weight Per 100 Pieces 2.5 lbs.